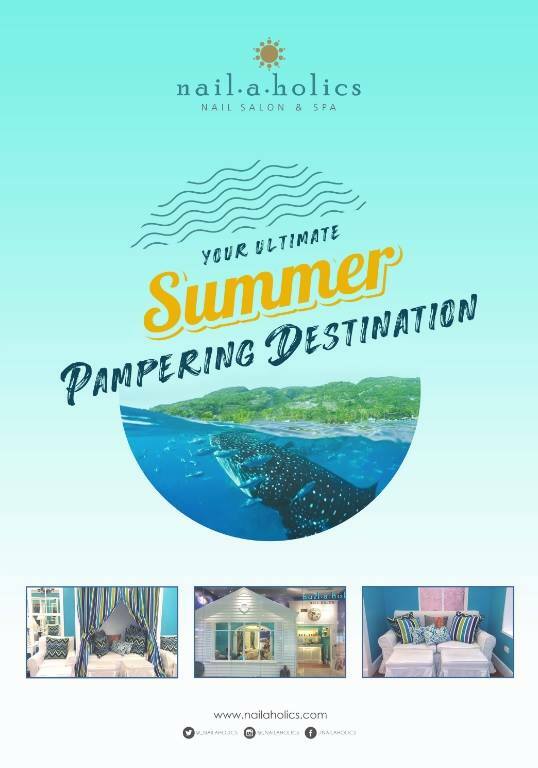 Your Ultimate Summer Pampering Destination Nailaholics Nail Salon and Spa! Summer is already on its way. That means hot weather, beach time, shorts, sandals, sundresses–and lots of it but the question is, are you ready? Are you ready with crowded airports, cramped flights and long road trips? Not to worry though because Nailaholics Nail Salon and Spa, the city’s top urban nail and pampering destination in the country will got you covered! This salon and spa has been everyone’s go-to destination for the season. It allows you to feel like you’re just taking a short vacation. Here’s a run-down of things-to-do to keep your skin, tips, and toes be summer ready!